Most modern day cars feature backup cameras at varying levels of detail and definition. Having another eye that looks behind your vehicle is convenient and safe so you’re aware of what’s behind you when backing out of the driveway. 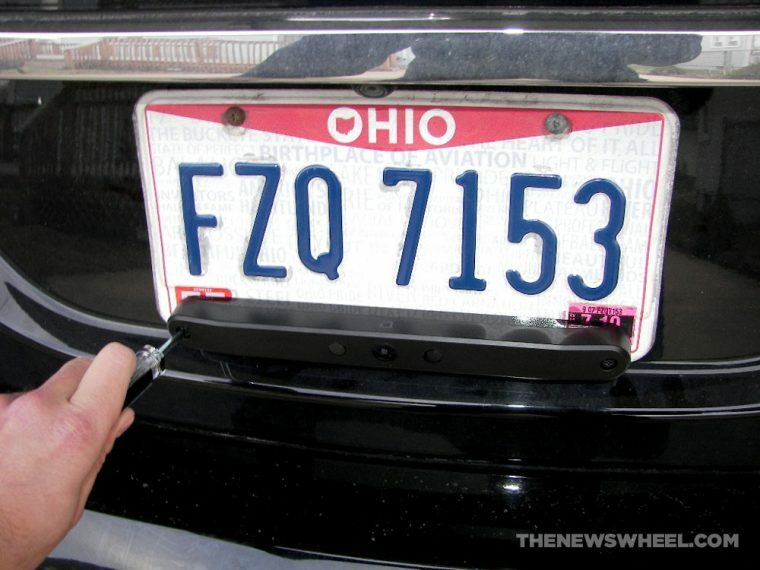 If you own an older car that doesn’t have this tool but would like to add it without buying a new car, you will be glad to know that there are add-on options on the market, and it is as easy as attaching an accessory to your rear license plate. Nonda, a hardware company that provides app-enabled devices to empower people for efficient living, sells this wireless smart backup camera that utilizes a downloadable ZUS app to direct access via a smartphone. Featuring a 170-degree HD wide-angle lens, this camera gives the driver a clear view of everything behind them, whether it’s the road to freedom or the perfect parking spot. The box that houses the backup camera comes sealed in plastic wrap, firmly coating the package until it’s ready to open. Inside, the backup camera is on top in a snug, folded piece of cardboard with a plastic sticker protecting its lens. Underneath this layer are two long, rectangular boxes that hold the mounting plate and accessories. Both boxes are simple to open, but the screwdriver and heavy duty mounting tape will require a bit of force to get out of the box, as they’re wedged in. I had to smack the box on my table a few times to loosen their grip on each other. Unpacking the rest of the items in the kit is a breeze, with the mounting plate inside a soft sleeve and the screws, nuts, and caps in their own individual zip-locked bags. Weighing in at almost 8.5 ounces, this backup camera is a beautiful gadget to hold. Its black, sleek design complements any license plate and car exterior color. The ZUS Wireless Smart Backup Camera comes with simple instructions on the inside of the box, advising to charge it before use. 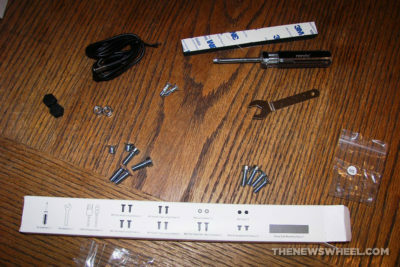 Simple diagrams on the back of the box, along with a link to online videos, guides you through installing this device by connecting it to your license plate. Using the “Backup Camera Installation 2” video on Nonda’s Vimeo channel, the mounting plate, backup camera, two flathead screws, and a screwdriver were all I needed for installation. To pair it with my iPhone 6, I downloaded the app, connected to the tech’s Wi-Fi, and held the button behind the camera for three seconds. 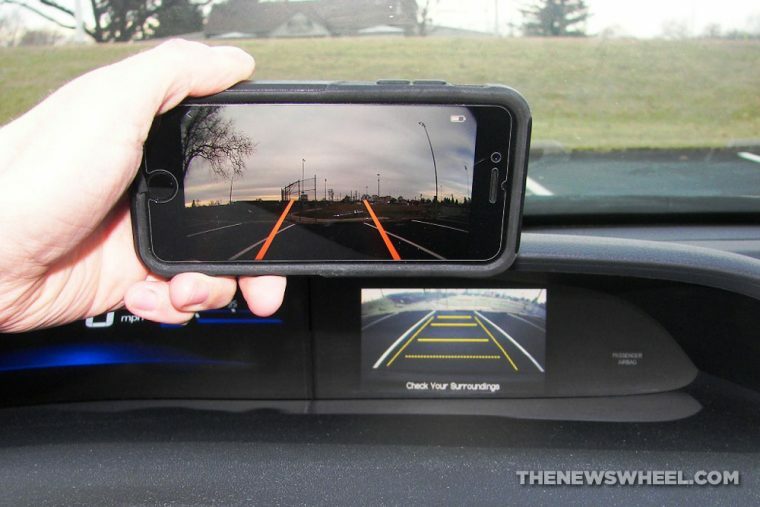 I was excited to see how the ZUS Wireless Smart Backup Camera compared to the one on my 2013 Honda Civic, and I was impressed. 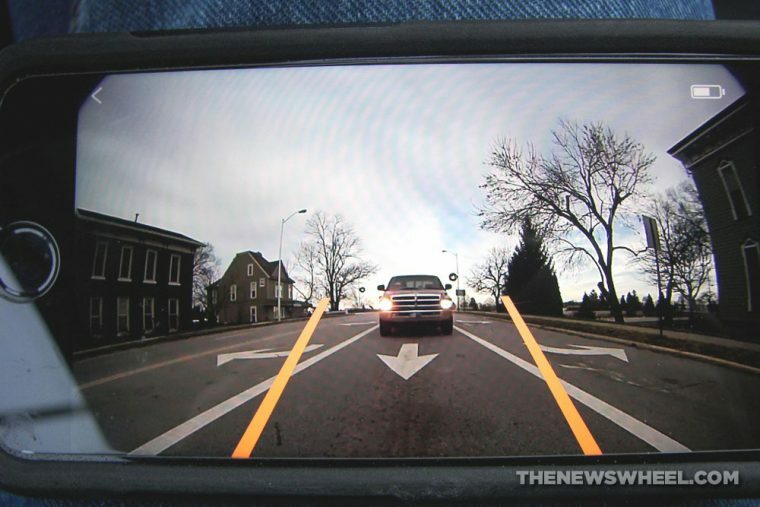 The wide lens does cover more area than my Civic’s rearview camera, as advertised. Nonda claims the two-megapixel 720P six-layer glass lens camera is four times clearer than standard cameras, and the detail is definitely sharp. When the sun went down, I hit the night vision icon, which immediately added brightness to the picture to ensure I did not miss a thing. The more I used the camera, the more I was able to explore the settings and calibrate the guidance lines to align them with parking spaces. Does It Keep Its Promises? It took me eight minutes, actually, as the camera easily slid into position atop the license plate. Clearly view everything behind you with the 170-degree wide angle lens…CHECK! Whether you are reverse-parking or backing out of a driveway, you do not miss a thing. When viewing the camera, there is a moon icon in the lower left-hand corner that will turn on night vision mode immediately. It does make a difference compared to regular mode. The battery charged in 4.5 hours, including 1 hour and 15 minutes plugged into my car as I commuted. It took me less than 20 seconds to find and download the ZUS app on my iPhone’s app store. After signing up for an account and connecting to the ZUS Wi-Fi, I had access to an app that left me feeling like James Bond. As I drove into work on a wet Monday morning, the durability of this waterproof camera shined. 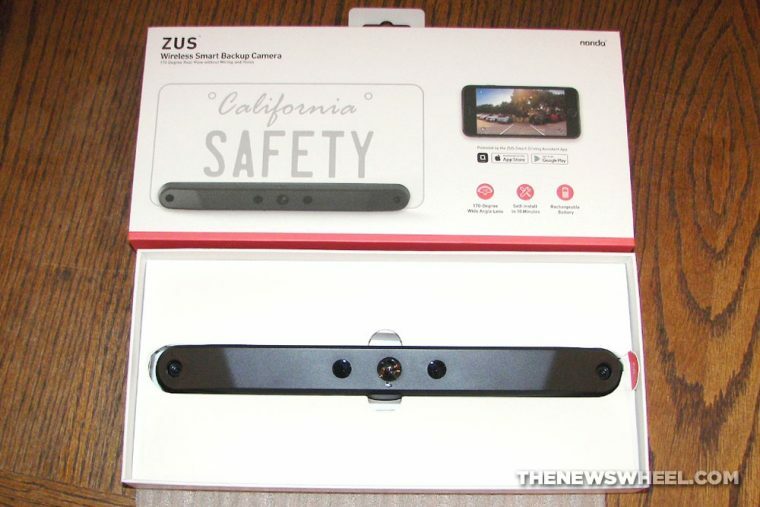 The ZUS Wireless Smart Backup Camera is a handy device for drivers who don’t have a backup camera in their car. 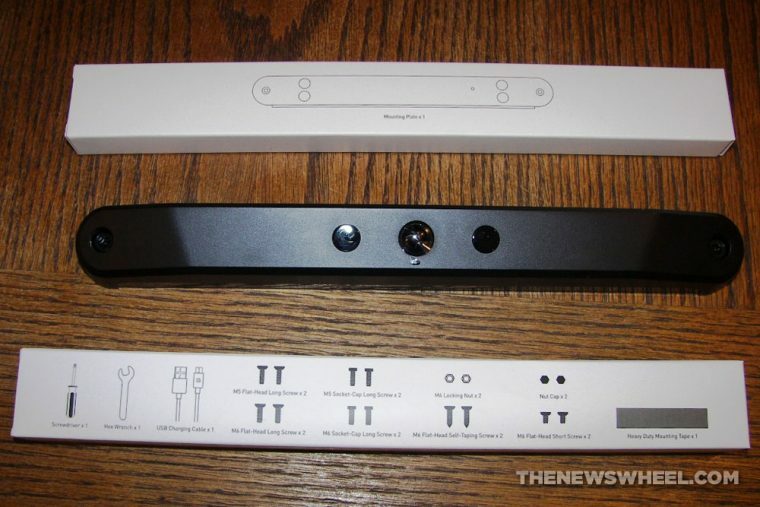 I found it very easy to use — even better than the OEM rear vision camera on my Honda. Nonda’s ZUS wireless smart backup camera is available for purchase via Amazon.